In an unprecedented action that may prevent the imminent barrage of thousands of Proposition 65 cancer warnings for coffee, the California Office of Environmental Health Hazard Assessment (OEHHA) is proposing a regulation stating that exposures to Proposition 65 listed chemicals in coffee “that are produced as part of and inherent in the processes of roasting coffee beans and brewing coffee pose no significant risk of cancer.” OEHHA will hold a public hearing on this proposed regulation on August 16, 2018 at the Cal/EPA Building in Sacramento. Written public comments on the proposed regulation must be submitted by August 30, 2018. The proposed regulation follows the June 2018 release of the International Agency for Research on Cancer’s (IARC) Monograph Drinking Coffee, Mate and Very Hot Beverages (Vol. 116). IARC, an intergovernmental agency forming part of the World Health Organization of the United Nations whose role is to conduct and coordinate research into the causes of cancer, is an authoritative body for listing chemicals under Proposition 65. In this Monograph, IARC reviewed more than 1000 studies and concluded that coffee is “not classifiable as to its carcinogenicity in humans.” Indeed, IARC found moderate evidence that coffee is associated with lowered risk of certain cancers. In explaining its proposed regulation on the cancer risk for coffee, OEHHA extensively cited IARC’s Monograph and underlying studies. The timing of OEHHA’s proposed regulation could not be more perfect, as the judge in a Los Angeles County Superior Court Proposition 65 enforcement lawsuit recently issued a final ruling that cancer warnings are required for acrylamide in coffee. Acrylamide, which is formed when coffee beans are roasted, is a listed carcinogen. 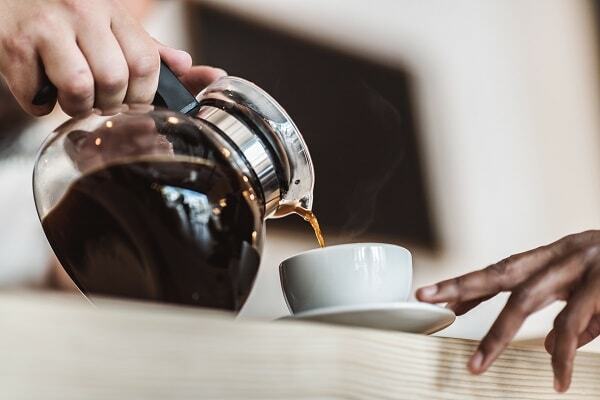 The judge’s ruling in the coffee lawsuit will trigger many thousands of Proposition 65 cancer warnings for coffee – not only for the beverage itself, but also for related accessories closely associated with coffee such as coffee makers, coffee filters, and the like. Such an outcome, while perhaps making sense in the tunnel vision of Proposition 65’s view of cancer risk, makes no sense at all when viewed against the big picture overall risk of drinking coffee, which, as OEHHA acknowledges, is “a complex mixture of carcinogens and anticarcinogens.” (Emphasis added.) This is what the coffee company defendants argued all along in the Proposition 65 enforcement lawsuit, and what the judge in that case felt unable to consider given Proposition 65’s scientifically unrealistic constraints. OEHHA’s regulation, if adopted, will mean that no cancer warnings for acrylamide will be required for coffee – and that no cancer warnings will be required for other listed carcinogens that are “produced as part of and inherent in the process” of making coffee. The success of OEHHA’s proposed regulation is not a foregone conclusion even though it is scientifically meritorious. OEHHA’s proposed action to essentially exempt an entire product category from warnings is unprecedented. OEHHA’s statutory authority to do so likely will be challenged. And, even if OEHHA succeeds, that will not necessarily be the end of the Proposition 65 story for coffee. The proposed regulation addresses only carcinogens, not reproductive toxicants. Further, in its Initial Statement of Reasons OEHHA is clear that the proposed regulation does not encompass carcinogens that may be added to the beverage as a result of processing. Thus, legal disputes may still arise as to whether a listed carcinogen is added or is “produced as part of and inherent” in the process of making coffee. Nevertheless, the proposed regulation may do more than just avoid unnecessary warnings for coffee. It may restore the credibility of Proposition 65, following the damage done as people and businesses in California and nationwide rejected the notion – and by extension, Proposition 65 itself – that, notwithstanding hundreds of studies showing coffee’s anti-cancer properties, coffee can cause cancer. The same IARC Monograph concluded that “drinking very hot beverages at temperatures above 65 °C is probably carcinogenic to humans (Group 2A).” Could OEHHA undermine its sensible approach to Proposition 65 cancer risk by later proposing “very hot beverages” as a carcinogen?